The very popular twilight tours run from April through October on Fridays, Saturdays, and Sundays. Twilight Tours are for adult only (guests 18 years of age and older.) Tour tickets are limited and must be purchased in advance. We recommend getting your tickets early as these tours sell out every weekend. Twilight tours are a more intimate experience to meet our animals. During these tours, the Twilight tour guests are the only visitors in the sanctuary. The work of the day is done, and the guests have the sanctuary all to themselves. Enjoy a quiet evening with the cats and you might just be lucky enough to be serenaded by the lions! After all, they are still wild animals! As with all of our tours, we can never guarantee what the cats will do, but it’s hard to have a bad evening with animals. Your twilight tour will last for about 1 ½ hours. Please arrive around 15 minutes early. 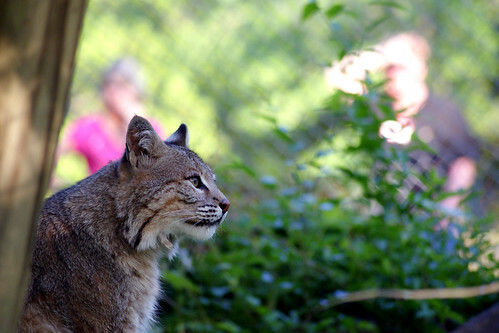 Our trained volunteer tour guides will walk you through the animal sanctuary. 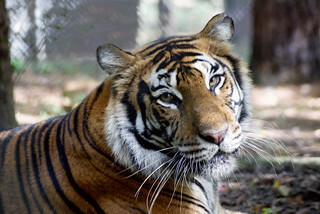 You will learn about the different species living at Carolina Tiger Rescue and the problems they face in the wild, as well as the challenges they face in captivity. You will have the opportunity to ask questions and take photos, but you will not have any physical contact with the animals. Times vary as twilight changes. Please note the start time when purchasing tickets. Twilight Tours are back through October! Click below for tickets.